Very quietly, and without any formal announcement, the Common Names Committee of the Entomological Society of America has decided to list termites in the same category as cockroaches. It seem weird to lump the two together, but it’s a move that scientists have been considering for nearly a century. If you call up the ESA’s updated Common Names of Insects Database and search for bugs under the insect order Blattodea, you’ll now see the Arid Land Subterranean Termite, the Forest Tree Termite listed alongside the American Cockroach, the Brown Cockroach, and other roaches. As reported in Science News, this reclassification, in which the longstanding termite order was obliterated and merged with the cockroach group, became official on February 15, 2018, following a vote by ESA board members. On the surface, termites and cockroaches don’t seem to have anything to do with one another. Cockroaches are solitary creatures that like to hide under discarded pizza boxes, and termites work together as a team to build mounds and destroy our homes. Also, they don’t look anything alike. Moreover, termites were originally called “white ants” by Europeans, and the name stuck on account of their remarkable similarity to ants, a consequence of convergent evolution (though ants and termites are only very distantly related). But the reality is that cockroaches and termites share a common ancestor—something geneticists proved back in 2007. Their molecular analysis demonstrated that termites are basically social cockroaches. And in fact, entomologist L. R. Cleveland suspected this back in the 1930s, and as did termite-expert Christine Nalepa in the 1990s. For scientists, the notion that termites and cockroaches are closely related is nothing new—so what took the ESA’s Common Names Committee (CMC) so long to make the reclassification official? “I can’t speak for the CNC ten years ago—that was before my time on the committee‚ but I think the delay in ‘official’ recognition was part bureaucratic within our volunteer committee, and part deliberate waiting to see which way the taxonomic winds would blow after the 2007 paper,” Mike Merchant, the Chair of the ECC, told Gizmodo. 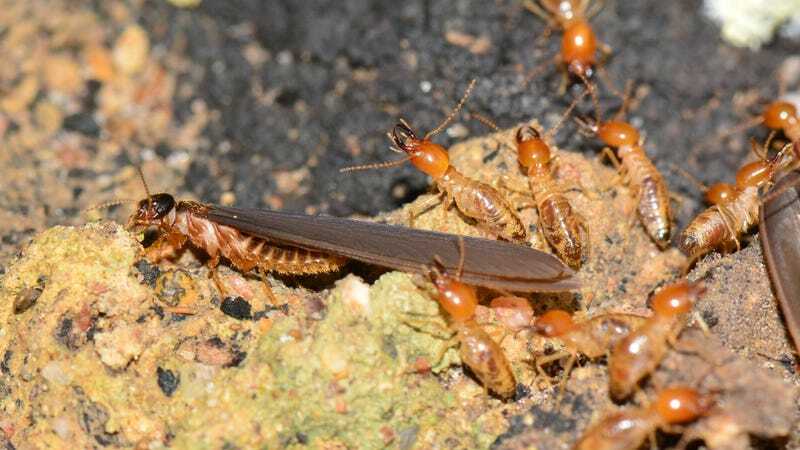 The last time the committee met, at its annual meeting in November, one of its systematists pointed out that the science appeared to be fairly settled on the status of termites belonging to the larger order Blattodea, said Merchant. At the time, the CNC decided its catalog of common names needed updating, and its members voted to acknowledge this change. So with termites now firmly planted in the Blattodea order, it’s tempting to call them cockroaches, but Chouvenc says that’s probably not wise. “Technically all termites are ‘wood feeding eusocial roaches,’ but not all cockroaches are termites,” he said. “If you have a termite infestation in your house, but the pest control company comes and says ‘you have cockroaches in your house,’ how confusing would this be? For common use, termite will remain termite.” But from a purely biological perspective, he says it’s fair to say that termites are “wood feeding eusocial roaches,” but admits that quite a mouthful.